Volkswagen has been making some great steps towards becoming more competitive in the SUV market of automotive vehicles. 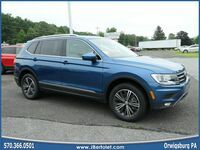 Along with the 2018 VW Atlas replacing the Touareg in America, the Volkswagen Tiguan also recently went through a complete redesign for its 2018 model. Due to that redesign, Volkswagen is very confident about the performance and presentation of the 2018 VW Tiguan. 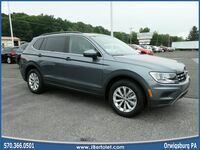 They believe the 2018 Volkswagen Tiguan is now a formidable competitor that can make its mark in the sales of SUV vehicles. If that's true, let's find out. Today we have the matchup of the 2018 Volkswagen Tiguan vs the 2018 Hyundai Tucson. 6 yr. / 72,000 mi. Vehicle Warranty 5 yr. / 60,000 mi. 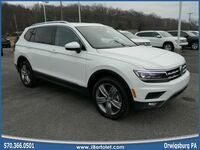 You can learn more about the 2018 Volkswagen Tiguan here at the dealership of J. Bertolet Volkswagen. With plenty in our inventory, we're happy to answer your questions and even schedule interested customers for a test drive. 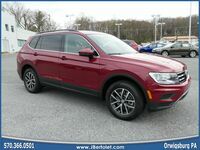 Call or visit us at our location in Orwigsburg, Pennsylvania within Schuylkill County to discover the wonders of the 2018 Volkswagen Tiguan!